Essential growth hacks that every blogger should know about driving more traffic to their website. Even if you’re a beginning online marketer, you probably know about the importance of growth hacking. It’s become a buzzword in recent years as startups have found unique ways — or hacks — to drive massive growth at a low cost. As a growth hacker your efforts are focused on more customers, more revenue and specifically in this article – More Traffic! The hack gained them thousands of new users, and the company soon went viral. The moral of the story is that you don’t have to be a programmer or a tech guru to take advantage of growth hacks for your business. That said, we do not advocate you SPAM – indeed AirBnB did not approve of this and blamed the action on a rogue sales team. Read this post to learn 13 growth hacks you can start today to increase traffic to your blog. 1) Keyword optimize your content. Blogging isn’t all about developing content that resonates with your audience — you need to make sure it reaches your audience as well. Search is a great way to amplify your content, bring massive traffic, and even drive sales; 81% of B2B purchase cycles begin with search. If you have a good idea of the kind of terms your target audience is searching for, you can start keyword research. Tools like SimilarWeb, Google AdWords and others make this pretty simple. => Search volume: How many people are searching for the term? => Relevance: Will this keyword draw in the right kind of traffic? => Competition: Is it possible to rank well for this keyword? You should prepare a long list of relevant keywords to incorporate into your content creation efforts. 2) Write headlines for people and search. Upworthy recommends writing 25 different headlines for each post. That might seem like a lot of effort for a small part of your content, but it matters. Often, the headline is one of the only things people see when they decide whether or not to read your post, so they have to be perfect. There are a lot of great tools out there that can help you do this. CoSchedule has a free headline analyzer tool that will analyze the structure, grammar and readability of your headline. Or if you need help coming up with a title, the Inbound Now Blog Title Generator can help with that. 3) Promote your blog in your email campaign. This hack often gets overlooked by even the most experienced digital marketers, because many assume that email marketing isn’t as effective as it used to be. It’s true people get a lot more email than they used to, but the marketing efforts still pay off. In fact, emails convert three times better than social media, and can yield an estimated 4,300 percent ROI. Given those numbers, promoting blog posts in your email campaign is a must. You can feature relevant blog posts or even a series of related posts in an email newsletter. Just make sure you’re encouraging clickthroughs back to your blog. 4) Market your blog on online forums. If you do it right, online forms, question and answer sites like Quora, or even Reddit, can be a great way to drive massive traffic back to your blog. Be on the lookout for topic forums and queries that your blog posts are relevant to. For example, if someone asked a question about great quotes from entrepreneurs, and you have a blog post titled, “100 Inspirational Quotes from Successful Entrepreneurs,” you could reply to their query and direct them to it. Just tread carefully with this method. If your comments aren’t relevant or seem overtly promotional, you could get negative feedback. 5) Reach out to influencers. This is done through influencer marketing — or collaborating with powerful individuals in your niche to spread the word about your content. According to Visual.ly, content that influencers share gets 16 times more engagement than content directly from a brand. No matter how useful your content is, people still know you’re out to market to them, which is why 70% of people consider information from brand advocates better than information from the brand. Once you’ve found influencers relevant to your niche, work to build a relationship with them by sharing their posts, commenting on their blog, etc. Then you can reach out for help promoting your own material. 6) Get traffic from SlideShare. 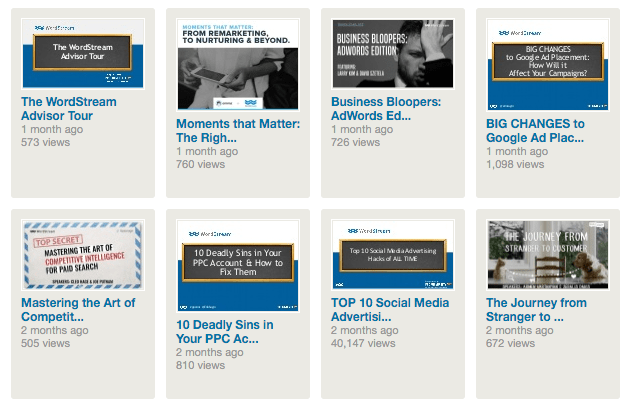 SlideShare presentations are a great way to complement your blog content and drive massive traffic. Ana at Traffic Generation Cafe made a few slideshare presentations for the first time and managed to go from 0 to 243,000 views in just 30 days. SlideShare presentations can be about just about anything. 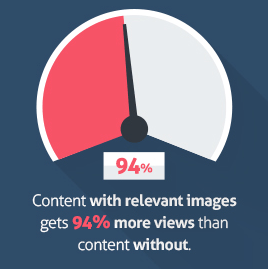 This is helpful because sometimes your SlideShare presentation will be more popular than your blog post. Make sure your SlideShare presentation has a prominent link back to your blog at the beginning, end, and in the slide deck description. Have a blog post related to the slide deck topic? Mention it as a resource in the presentation and link back to the post. Many digital marketers hate to hear this fact, but the more you blog, the more traffic you get. 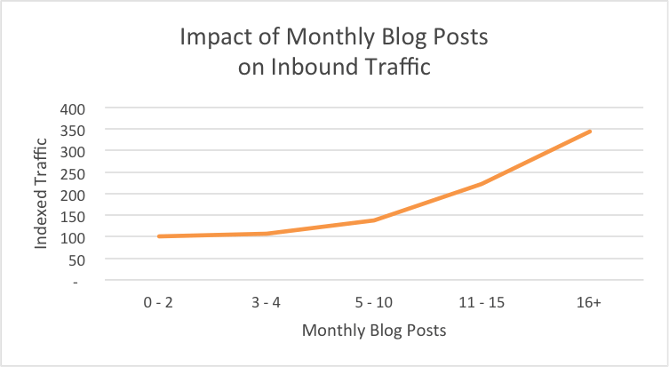 Research from Hubspot found that companies who published at least 16 posts per month received 3.5X more traffic than those who published 0-4 posts. Planning to blog 16+ times a month can be overwhelming for many, but if you use WordPress, you can make use of an editorial calendar plugin to keep on track. For some, it might be worth investing in some freelance writers to catch up on the slack. Writers can be found with nearly all skill levels (and rates of pay) on freelance websites like Fiverr or Guru. Consider the cost against the potential payoff for your indexed traffic. 8) Growth Hack – Write long, detailed content. It would seem that many bloggers aren’t putting a lot of effort into creating long, detailed content. As a result, the same study also found that long-form, research-backed content have a strong correlation between shares and links. Research has also shown that long-form content gets better ranking in search. So if you want your content to really stand out against your competitors, put effort into making it long and detailed. 9) Growth Hack – Cross-link to other relevant posts. Cross-link the right way, and you’ll see a boost in SEO and increase traffic to your blog. 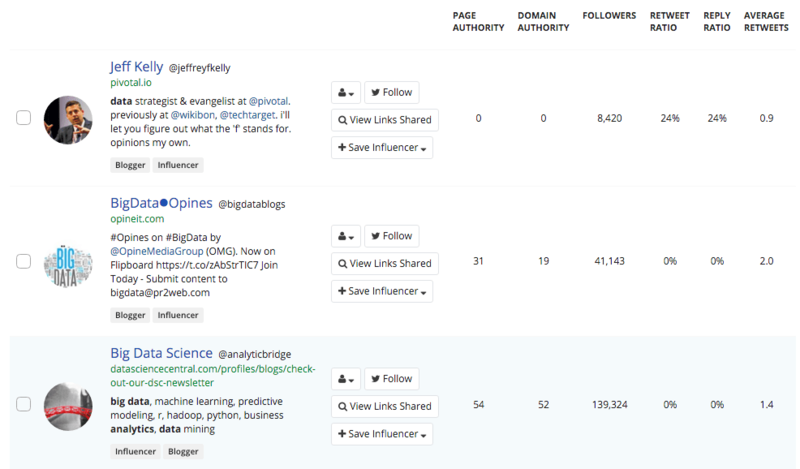 First, find relevant posts related to your new content. Excellent social media and web monitoring tool. You set up alerts based on keywords, and content related to those keywords is displayed through the Mention application or sent to you via email or social media. LikeAlyzer is a very simple (and free) tool to assess your Facebook Page and provides suggestions to improve it. Then, look for key phrases in your new post to serve as the anchor text for the links. These should be related to the current post’s topic, since Google will use this information to rank the post. 10) Encourage engagement with social media campaigns. Hosting a competition, sweepstake or giveaway on social media can be a really effective way to drive more traffic to your blog and get new email signups as well. Giveaways or sweepstakes don’t have to be costly for you — they can be small prizes such as products you offer. Or if you offer a service, you can giveaway some one-on-one consulting. 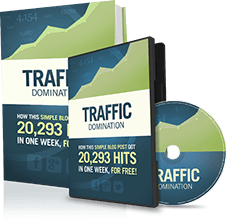 The tweets and shares your campaign gets can drive massive traffic. A great example of this in action is Namecheap’s Twitter campaign. They posted a simple series of Christmas-related trivia questions to launch the new Twitter account. If you were one of the first three @replies with a correct answer, you won a one-year domain registration (if you set up a Namecheap account). The campaign resulted in a 10% website traffic increase in one month, and a 20% increase in domain registration. 11) Repurpose written content to visual. If you want to have a powerful blog that brings in the most traffic, it needs to have more than just written content. If you create a great video, it opens the door to many other platforms that can help drive traffic back to your blog, such as YouTube, Vimeo and Yahoo! 12) Submit to content curation communities. There are quite a few platforms out there that are looking for bloggers to submit content that they deliver to their audience. This is another great way for you to get your posts in front of new eyes, but only if the content is truly exceptional. Content curation communities are pretty competitive, so make sure you’re submitting your best content to get strong traffic. 13) Growth Hacks Multiplied – Get featured on high traffic niche websites. Finding opportunities to guest post on high traffic niche websites can give your own blog a boost as well. For one, getting backlinks from high authority sites is great for your own website’s SEO. Also if the website is related to your niche — e.g., has an audience that would also be interested in your blog — then you can also get a lot of traffic from the post directly. Many high authority blogs offer guest posting opportunities. Some may not want you to link back to your blog in the post you write, but they almost always will give you a link back in the byline. Not sure where to find opportunities? Just turn to search. => And other relevant terms. There you go — 13 growth hacks that can drive massive traffic to your blog. 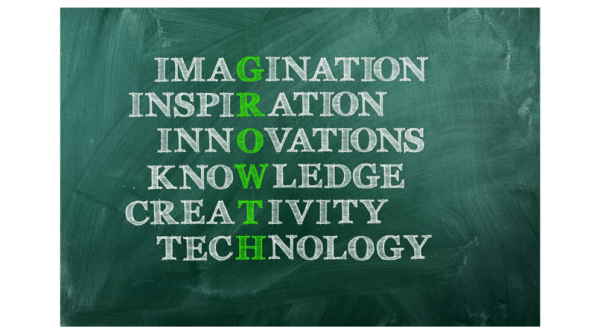 Which growth hack are you going to implement first? Author Bio: Since selling his company Tapdog to Similar Web in 2014, Noam is blogging at HackingRevenue.com where he writes on monetization channels and how to grow the revenues of your online business. Check it out!